The wine cooler bag is a simple and practical ice bag, which is mainly made of durable, soft, transparent PVC material and features a completely water-tight design and can hold one bottle of your favorite wine or champagne. Simply put in your chosen bottle and pad out the Ice Bag with fresh water and ice cubes and you now have a portable ice bucket. With portable and easy-to-carry handle design, it is really a wonderful ice cooler bag for both indoor and outdoor use. 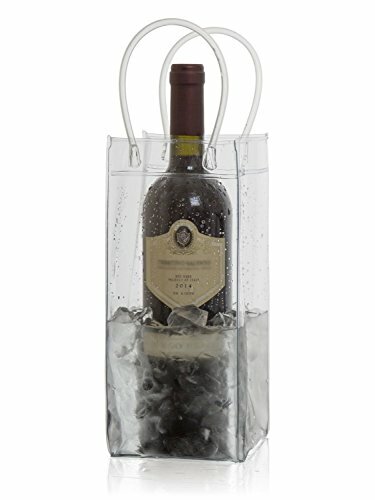 It`s a sturdy, water-tight ice bucket bag that can hold one bottle of wine, champagne, beer etc. If you have any questions about this product by Wine Bag-It, contact us by completing and submitting the form below. If you are looking for a specif part number, please include it with your message.